GLEN ELLEN, CA (AUGUST 28, 2018) – Historic landmark Jack London State Historic Park is announcing the grand re-opening of the House of Happy Walls, a museum devoted to the life and times of the park’s namesake, slated to open on November 10, 2018. After over 250 private donors invested an impressive $1.5M for improvements to the park the renovated museum is thrilled to open its doors once again, bringing Jack and Charmian London back to life for visitors and guests. Purchased by Jack London in 1905, the historic and iconic Beauty Ranch exemplifies Jack’s commitment to the land and will leave new visitors and London aficionados alike inspired by the London’s sense of humanity, adventure and discovery. The twenty two new exhibits within the House of Happy Walls commemorate and celebrate the adventurous and inspiring story of Jack London and his wife, Charmian. The exhibition, designed by the Sibbett Group, explore Jack as a true pioneer of his time: a conservationist and feminist, organic farmer and humanitarian, and organizer of equality and opportunity. The expansive second floor of the museum share the story of Jack’s wife, Charmian, and the profound impact she had on his life. Exhibits highlight the London’s legacy, spanning more than his literary career to include: poverty and physical toil, political activism, adventure of the highest order, animal rights, photojournalism, agricultural innovation and the moving story of love and partnership with his wife Charmian. Exhibits are designed to be multi-sensory with several interactive elements. Guests who come to the park can now dive deep into the history of Jack London before exploring everything else the historic landmark has to offer. Boasting over 1400 acres and 30 miles of hiking trails, visitors can horseback ride through the hills of Sonoma Mountain, bike and hike across magnificent vistas, and tour historic buildings that date back to the 1870s. Supervisor Susan Gorin is confirmed to lead the ribbon-cutting ceremony held Saturday, November 10 at 10 a.m. The grand opening festivities will be a weekend affair kicking off on Saturday, November 10 through Sunday, November 11. Guests of all ages will enjoy live music, adventure hikes through the park, biking, horseback riding on London’s favorite trails with Triple Creek Horse Outfit, lawn games, wine tasting and food and drink from local purveyors. Visit jacklondonpark.com for more details. Located in the heart of the Sonoma Valley, Jack London State Historic Park is comprised of 1400 acres and remains the legacy of Jack London, one of America’s most famous and celebrated authors. The park offers historic buildings dating to the late 1870’s, magnificent vistas and more than 30 miles of trails open to hikers, bikers and horseback riders. The House of Happy Walls is slated to reopen on November 10, 2018 after over 250 private donors invested $1.5M in improvements to the park. 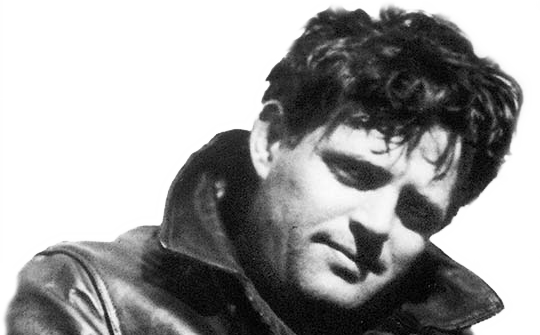 The reimagined museum will feature twenty-two new exhibits designed to commemorate and celebrate the lives of Jack London and his wife, Charmian.